GPS signals are so weak, they cannot be used reliably where they are obstructed such as indoors or in concrete canyons. But if the satellites were much closer, their signals would be much stronger. The low Earth orbit Iridium constellation is already orbiting and providing a PNT service. This month we learn about its current capability and future promise. WHOA CANADA! July 1st marks Canada’s sesquicentennial. In 1867, four Canadian provinces, Ontario and Quebec (up to then known as the single Province of Canada), Nova Scotia and New Brunswick, joined together to form The Dominion of Canada — the name suggested by New Brunswick’s Sir Leonard Tilley. Other provinces came on board later with the last, Newfoundland and Labrador, joining in 1949. Apart from my interest in educating all and sundry about the origins of the “true north, strong and free,” what has this got to do with GNSS or allied technologies? Well, it turns out that Canada has played and continues to play an important role in the development of communications and navigation technologies. It started on Christmas Eve, 1906, when Canadian inventor Reginald Fessenden carried out the first amplitude modulation radio broadcast of voice and music. And in 1925, Edward “Ted” Rogers, a Canadian pioneer in the radio industry, invented a radio tube using alternating current that became a worldwide standard in radio circuits. Many other developments in terrestrial communications took place in Canada over the years including microwave repeater technology and shortwave radio broadcasting from the famed transmitter plant (now defunct, unfortunately) established near Sackville, New Brunswick, during World War II. There have also been significant Canadian advances in satellite technology. The first Canadian satellite, Alouette (French for “skylark”), was launched in September 1962 to study the ionosphere. Launched by the United States, it was the first satellite to be constructed by a country other than the U.S. or the Soviet Union. Several other Canadian ionospheric research satellites have been orbited since including CAScade, Smallsat and IOnospheric Polar Explorer or CASSIOPE, launched in September 2013. CASSIOPE carries eight instruments for studying the ionosphere including the University of New Brunswick’s GPS Attitude, Positioning, and Profiling instrument. Canada has also been a leader in satellite communications technology. The first Anik geostationary satellite was launched in November 1972. (Anik means “little brother” in Inuktitut.) Eight more Anik satellites were launched subsequently including Anik F1R, which is also used to broadcast Wide Area Augmentation System information to GPS receivers. And the first satellite to explore the 14/12-GHz band for direct broadcasting to homes and businesses was Canada’s Communications Technology Satellite, dubbed Hermes, launched in January 1976. And, of course, we don’t need to mention the Remote Manipulator System on the International Space Station, commonly known as Canadarm, nor the work of celebrity Canadian astronaut Col. Chris Hadfield. In the area of satellite navigation, Canada is known for its development of techniques to use the U.S. Navy Navigation Satellite System or Transit for one-meter positioning accuracy permitting establishment of geodetic control points such as in Canada’s far north. Canada was also an early adopter of GPS and with software and hardware developments by industry, government and academia has made its mark in the world of precision positioning, navigation and timing. Another Canadian initiative is the Aerion satellite-based air traffic surveillance system that will use the enhanced low Earth orbit Iridium constellation. And we shouldn’t forget that Canada is slated to provide the search and rescue package for the GPS III satellites. Speaking of GPS, we all know what a great technology it is, providing the “gold standard” in global satellite navigation. But it does have one dominant problem: the weakness of the signals. The signals are so weak that they cannot be used reliably where they are obstructed such as indoors or in concrete canyons. The problem stems from the fact that these medium Earth orbit satellites are far away and their energy is significantly spread out during their passage to Earth. If the satellites were much closer to the Earth, their signals would be much stronger. Mind you, you would need more satellites to provide global coverage. Fantasy? No. There is already a constellation of satellites in orbit providing such a PNT service. It is Iridium–the same constellation that will provide the Canadian-initiated aircraft tracking system–and in this month’s column we will learn about is current capability and future promise. Pretty neat, eh? With the advent of smartphones, there are now more than four billion devices that make use of GNSS. These satellite navigation systems provide not just the blue dot representing location on our phones, but also support the critical infrastructure we rely upon. The U.S. Department of Homeland Security recognizes that all 16 sectors of U.S. critical infrastructure depend on GPS — 13 of which have critical dependence. A recent report by London Economics estimates the cost of a GNSS outage to the U.K. alone would be over £1B per day.With autonomous systems on the rise, our reliance on GNSS will only be increasing. As we become more dependent on this technology, we become vulnerable to its limitations. One major shortcoming is signal strength. Designed to work in an open-sky environment, GNSS is severely limited in deep attenuation environments, with little or no service in dense cities or indoors. Furthermore, we are susceptible to jamming where a 20-watt GNSS jammer can deny service over a city block. The proximity of low Earth orbit (LEO) has the potential to provide much stronger signals than the distant GNSS core-constellations like GPS in medium Earth orbit (MEO). Today, the only LEO system with global coverage is the Iridium constellation used primarily for communications. FIGURE 1 shows the 31-satellite GPS constellation in contrast with the 66-satellite Iridium network. The scale of the difference in distance (several Earth radii) is extraordinary. The result is that Iridium signals are 300 to 2,400 times stronger than GNSS signals on the ground, making them attractive for use in position, navigation and timing (PNT) applications where GNSS signals are obstructed. FIGURE 1. The 66-satellite Iridium constellation in low Earth orbit and 31-satellite GPS constellation in medium Earth orbit. LEO-based PNT is now mainstream, in the form of real-time signals that have been delivered over the Iridium satellite network since May 2016. This service is made possible by Satelles in partnership with Iridium Communications Inc. in a service called Satellite Time and Location (STL), a non-GNSS solution for assured time and location that is highly resilient and physically secure. Consumers, businesses and governments are already using these LEO-based signals in environments with high GNSS interference or occlusion. The security features of these signals are also used to reliably validate GNSS PNT solutions in real time to help mitigate potential spoofing. Furthermore, the fast LEO orbits of Iridium generate Doppler-frequency-shift signatures significantly stronger than GPS, increasing the utility of the STL signal for positioning applications. STL field tests demonstrate a positioning accuracy of 20 meters and timekeeping to within 1 microsecond, all in deep attenuation environments indoors. This adds substantial robustness in augmenting the GNSS core constellations like GPS and also allows for a standalone backup in many applications. In 1964, Transit (or the U.S. Navy Navigation Satellite System) became the first operational satellite navigation system. This constellation typically consisted of five to 10 satellites placed in polar orbits with an altitude of about 1,100 kilometers. Unlike many terrestrial radio navigation systems, a position fix was not instantaneous. It required 10 to 16 minutes of observation as a satellite passed overhead to achieve the needed geometric diversity. There was also latency; users had to wait for a satellite to come into view, which could take from 30 to 100 minutes. The trade-off was accuracy; early performance was a few hundred meters and was later improved to 20 meters (and even down to about 1 meter for multiple-pass fixed-site surveys), the best performance of its day. In 1967, Transit became open for civilian use and remained operational until 1996 when GPS was at full operational capability. The Soviet Union developed a system similar to Transit known as Parus/Tsikada, with first satellites on orbit in 1967. Parus/Tsikada operated on the same passive Doppler observation principle as Transit, on similar frequencies and in similar polar orbits. Today, the largest satellite constellation with constant global coverage is Iridium. With 66 LEO satellites delivering worldwide satellite connectivity, including the poles, this system has tenfold more satellites than Transit had. Along with its strong signals compared to the GNSS core-constellations in MEO, Iridium’s global coverage makes it ideal for use in PNT applications where GNSS is obstructed. Figure 1 shows the scale of the difference in altitude with Iridium at 780 kilometers and GPS at 20,200 kilometers. This has substantial implications not only for signal strength, but also for coverage. Though Iridium has twice as many satellites as GPS, at the Equator users can often only see one satellite at a time, whereas they can see 10 from GPS. This was one of the fundamental trades considered in the design of the GPS constellation. The higher the altitude, the more each launch cost; the lower, the more satellites had to be built to provide coverage. To put this in perspective, global coverage for one satellite in view at all times requires fewer than 10 satellites in MEO, but requires closer to 100 in LEO. The hundreds of LEO satellites needed to match the coverage of GPS may be coming. In late 2014 and early 2015, the International Telecommunication Union reported a half-dozen filings for spectrum allocation for large constellations of LEO satellites. In January 2015, OneWeb announced a partnership with Virgin and Qualcomm to produce a constellation of 648 LEO satellites to deliver broadband Internet globally. This represents the next order of magnitude, with tenfold more satellites than Iridium. Within days of this announcement, SpaceX, with support from Google, announced a similar ambition for a constellation of more than 4,000 LEO satellites. In August 2015, Samsung expressed interest with a proposal for a LEO constellation of 4,600. Boeing joined the race in June 2016, announcing plans for a LEO constellation of nearly 3,000 satellites. These LEO constellations are being proposed to keep up with the rising demand for broadband, not to replace ground infrastructure, and will provide Internet access to the 54% of the global population that lack that access. TABLE 1 compares the GNSS core constellations in MEO to the big (Iridium), broadband (OneWeb, SpaceX, Boeing) and early navigation (Transit, Parus/Tsikada) LEO constellations. Low and medium Earth orbit each have their individual strengths and weaknesses in the context of navigation as summarized by TABLE 2. TABLE 2. Comparison of LEO and MEO systems for navigation. Closer to Earth, LEO offers less spreading loss and improved signal strength on the ground. FIGURE 2 shows that the signal spreading (or space) loss for Iridium is between –140 and –130 dB compared to GPS at –160 dB. This stems from Iridium being 25 times closer to Earth than GPS, resulting in a gain in the neighborhood of 252, which is approximately 30 dB (1,000 fold). This is confirmed by field tests where the carrier-to-noise-density ratio (C/N0) is typically 45 dB-Hz for GPS but closer to 80 dB-Hz for Iridium. FIGURE 2. Slant range and spreading loss as a function of orbital altitude and user elevation angle (GSO = geostationary orbit). Now, we face the drawback of LEO proximity: coverage. Being closer to Earth means that satellites have much smaller footprints as shown in FIGURE 3. FIGURE 3. Comparison of medium and low Earth orbit satellite distance and footprints (drawn to scale). FIGURE 4 shows the satellite-footprint radius as a function of orbital altitude and user elevation mask angle. This plot shows the GPS footprint to be threefold larger than Iridium’s, corresponding to nine times more area covered. Hence, to achieve the same coverage as GPS with Iridium’s altitude, a LEO constellation requires an order of magnitude more satellites. FIGURE 4. Satellite footprint radius as a function of orbital altitude and elevation angle (GSO = geostationary orbit). Another major difference between LEO and MEO is speed. A GPS satellite completes one Earth revolution every 12 hours, while Iridium does so in only 100 minutes. The shorter the orbital period, the faster the angular rate (also called mean motion) and the more quickly satellites pass overhead. The Earth-centered angular rate of Iridium is seven times faster than GPS. As a result, users on Earth’s surface see LEO Iridium satellites traverse the local sky in just over 10 minutes compared to hours with satellites in MEO. This characteristic gives rapid changes in geometry and several benefits for navigation. The swift motion whitens multipath (making it more random, like white noise) as reflections are no longer effectively static over short averaging times. Geometric diversity also leads to effective Doppler positioning as was once leveraged by Transit and now by STL using Iridium. Geometric diversity is also desirable for carrier-phase differential GNSS, allowing for much more rapid resolution of integer cycle ambiguities. As previously mentioned, the STL service has been in operation since May 2016. Many from industry and government are already using this service to achieve a more robust PNT solution. This service will only continue to improve with the Iridium NEXT satellites under deployment — the first 10 were successfully launched in January. STL is a non-GNSS solution for assured time and location that is highly resilient and physically secure. STL utilizes the Iridium constellation to transmit specially structured time and location broadcasts. Due to their high RF power and signal-coding gain, the STL broadcasts are able to penetrate into difficult attenuation environments, including deep indoors. Like GNSS signals, these broadcasts are specifically designed to allow an STL receiver to obtain precise time and frequency measurements to derive its PNT solutions. STL is able to augment or serve as a back-up to existing GNSS PNT solutions by providing secure measurements in the presence of high attenuation (deep indoors), active jamming and malicious spoofing. Unlike the MEO GNSS satellites, Iridium uses 48 spot beams to focus its transmissions on a relatively small geographic area. The complex overlapping spot beams of Iridium combined with randomized broadcasts give a unique mechanism to provide location-based authentication that is extremely difficult to spoof. Two main technical innovations are applied to the existing Iridium quadrature phase-shift keying (QPSK) transmission scheme to facilitate precision measurements. First, the QPSK data at the beginning of an STL burst is manipulated to form a continuous wave (cw) marker, which can be used for burst detection and coarse measurement. Second, the remaining QPSK data in the burst is organized into pseudorandom sequences, reducing the effective information data rate while providing a mechanism for precise measurement via correlation with locally generated sequences. The processing gain of the sequence correlation operation also enhances the capability of the STL signal to penetrate buildings and other occlusions. STL is designed such that a receiver can reliably decode the bursts and perform precise Doppler and range measurements at attenuations of up to 39 dB relative to unobstructed reception. This is sufficient to penetrate buildings and other occlusions, providing coverage in most deep indoor and urban canyon environments. In environments where both GNSS and STL time and location fixes are available, the GNSS fixes will generally be more accurate. The key advantage of STL is its ability to provide time and position fixes where GNSS is not available because of occlusions, spoofing or other reasons. In this respect, GNSS and STL can be seen as complementary technologies, and it is apparent that receivers supporting both are highly desirable when practical. An example of a combined GNSS + STL receiver board is shown in FIGURE 5 and is available from Satelles. FIGURE 5. Custom STL receiver board capable of GNSS + Iridium operation. To test the signal penetration of STL, trials of the system were undertaken at multiple locations inside an urban high-rise building. For these tests, locations with little or no GPS reception were chosen to measure the impact of such an environment on STL signal reception. Two GPS receivers were used, a smartphone with assisted GPS and a standalone consumer receiver using Bluetooth communications without assistance data. Similarly, STL was used with and without assistance. For these tests, STL assistance included real-time, out-of-band delivery of satellite clock and orbit data and message payload contents. These test locations ranged from the top (13th) to the bottom (2nd) floor as shown in FIGURE 6. FIGURE 6. Iridium-based STL test locations. These are indoor and deep attenuation environments where GPS is unavailable. The results show that only upper floors near windows were able to track at most one to two GPS satellites while lower floors could see none. STL, on the other hand, always experienced strong signals. Even on the lowest floor, with many layers of steel and concrete between the antenna and the sky, the C/N0 from Iridium was between 35 and 55 dB-Hz. GPS, by comparison, is typically between 35 and 50 dB-Hz in an open sky environment. To evaluate the timing performance of STL in a static, indoor environment, a custom STL receiver board was configured to generate a pulse-per-second (PPS) output. The difference in timing between the STL PPS was then compared to the timing output of a GNSS “truth” reference — in this case, a timing receiver that has nominal timing performance at least an order of magnitude better than the STL-based timing we were attempting to measure. FIGURE 7 shows the timing difference between the PPS signals generated by the STL receiver and the GNSS receiver, showing the STL ability to provide sub-microsecond timekeeping even in a deep attenuation environment. FIGURE 7. Iridium-based STL timekeeping results based on data from a 30-day indoor trial. This compares indoor STL timing with a GPS feed from outdoors. This shows STL’s timekeeping to be within 1 microsecond in a deep attenuation environment. While sub-microsecond timing is sufficient for many applications, higher timing accuracy is desired by some. It has been further demonstrated that STL is capable of achieving sub-100-nanosecond timekeeping in a stand-alone configuration with a rubidium-based STL receiver with an unknown static location indoors. Unlike the time-transfer capability of STL, positioning requires satellite motion over time to achieve a reasonable 4D time-and-location fix. Therefore, understanding the convergence properties of STL positioning accuracy over time is important to understanding the applicability of STL for various potential uses. To study these convergence properties, STL data was collected over a 24-hour period in a one-story office environment. The data was then post-processed in a series of trials that each represented a different starting time in the data set — each trial offset to begin 5 seconds ahead of the previous trial’s start time. In this way, the 24-hour data set could be used to generate a statistically significant set of trial runs in which positioning convergence characteristics could be evaluated. We found out from the results of the post-processed trials that after 10 minutes of convergence, the STL solution had converged to an accuracy of better than 35 meters for 67% of the trials. After sufficient time, typically an accuracy of 20 meters can be achieved in deep attenuation environments such as indoors. The vertical accuracy of STL, in the absence of other measurements or vertical constraints, is comparable to the horizontal accuracy. We see the benefit of LEO in navigation with the operational STL using Iridium, where stronger signals allow for operation deep indoors and in other GNSS-challenged environments. Though extremely valuable as a complement to GPS, Iridium lacks the numbers to fully replace GPS as a standalone navigation system in all capacities as only one satellite at a time is typically in view. However, these numbers may be coming in LEO with the unprecedented scale of the recently announced Broadband constellations of OneWeb, SpaceX, Boeing and others summarized in Table 1. OneWeb’s constellation is nearly as large as the total number of operational satellites in LEO today and is an order of magnitude larger than Iridium. SpaceX’s and Boeing’s proposed constellations each have more than twice the total number of operational satellites in orbit in 2017. The unparalleled number of satellites in these proposed broadband LEO constellations gives rise to better geometry than any of the GNSS core-constellations in MEO by at least threefold, as shown by FIGURE 8. FIGURE 8. Comparison of geometric dilution of precision (98th percentile) as a function of constellation size and altitude (MEO = medium Earth orbit; GSO = geostationary orbit). This plot represents the 98th percentile geometric dilution of precision a user would experience on Earth as a function of constellation size and altitude, assuming a 5-degree elevation mask angle. This stronger geometry allows for relaxation of the signal-in-space user range error, while still matching the user position accuracy of GPS. This enables the use of lower than traditional cost satellite clocks and more amenable orbit determination levels. When combined with the more benign LEO radiation environment compared to MEO, satellite navigation payloads could be built using commercial off-the-shelf components in place of specialized space-hardened ones, greatly reducing cost. By partnering with these LEO constellation providers, much like Satelles has done with Iridium, a PNT service comparable to GPS could be achieved though with the added benefits of LEO including stronger signals and rapid changes in geometry. Robust PNT services from LEO are here today, providing augmentation to GPS where GPS isn’t available. The addition of navigation signals from LEO provides a number of benefits. The faster LEO motion provides geometric diversity, giving rise to multipath whitening, faster initialization times for carrier-phase differential GNSS, and Doppler-based positioning. Perhaps most importantly, LEO constellations have the advantage of being closer to the Earth than the GNSS core constellations in MEO, experiencing less path loss and delivering signals 1,000 times (30-dB) stronger. This makes them more resilient to jamming and more capable in deep attenuation environments such as in urban canyons and indoors. This extra power allows the LEO-based Satelles STL using Iridium to achieve timekeeping within 1 microsecond and a positioning accuracy of 20 meters, all while deep indoors where GNSS is unavailable. This adds indispensable resilience and security to GNSS that we are increasingly reliant upon, creating a comprehensive satellite navigation system that truly works everywhere. This PNT service using Iridium is perhaps a sign of things to come. We’ve seen a progression in LEO use since the dawn of the Space Age, namely, an order of magnitude increase in constellation size every 30 years. Transit first offered an occasional position update based on a constellation of six satellites in the 1960s. Built in the 1990s, Iridium, with an order of magnitude more satellites at 66, now offers global coverage. On the horizon are constellations like OneWeb, which promise the next order of magnitude with 648+ satellites, slated for the 2020s. This most recent scale gives rise to better satellite geometry than GPS today with the added benefits of LEO. The STL signal using Iridium sets a precedent that could lead to unparalleled navigation services that are robust due to the improved signal strength and precise due to the huge number of LEO satellites coming, each moving quickly and giving the geometric diversity needed to enable fast carrier-phase differential GNSS. The need for such a service is already clear. 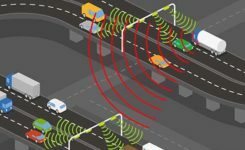 It would enable a diversity of future technologies and applications, such as safety-critical autonomous vehicles under development that must operate in challenging urban environments. This article is based on a book chapter to be released in a new generation of GPS “Blue Books” entitled 21st Century Navigation Technologies: Integrated GNSS, Sensor Systems, and Applications to be published by Wiley-IEEE. “Differential and Rubidium Disciplined Test Results from an Iridium-Based Secure Timing Solution” by S. Cobb, D. Lawrence, G. Gutt and M. O’Connor in Proceedings of the 2017 International Technical Meeting of The Institute of Navigation, Monterey, California, 2017. “Test Results from a LEO-Satellite-Based Assured Time and Location Solution” by D. Lawrence, H.S. Cobb, G. Gutt, F. Tremblay, P. Laplante and M. O’Connor in Proceedings of the 2016 International Technical Meeting of The Institute of Navigation, Monterey, California, 2016. “Orbital Diversity for Satellite Navigation” by D. Lawrence, H.S. Cobb, G. Gutt, F. Tremblay, P. Laplante and M. O’Connor in Proceedings of ION GNSS 2012, the 25th International Technical Meeting of the Satellite Division of The Institute of Navigation, Nashville, Tennessee, 2012. “Leveraging Broadband LEO Constellations for Navigation” by T.G.R. Reid, A.M. Neish, T.F. Walter and P.K. Enge in Proceedings of ION GNSS+ 2016, the 29th International Technical Meeting of the Satellite Division of The Institute of Navigation, Portland, Oregon, 2016. The unassisted Bluetooth receiver used was a Dual Electronics XGPS150A Universal Bluetooth GPS Receiver; the assisted-GPS smartphone used was a Samsung Galaxy S4. Timing output was evaluated with a Trimble Thunderbolt GNSS timing receiver. DAVID LAWRENCE is the principal navigation architect for Satelles. In addition to authoring over 20 papers and over 30 patents, Lawrence has developed high-performance navigation software that has been deployed in aircraft landing, precision agriculture, mining, transportation, and machine automation. H. STEWART COBB is the principal hardware architect for Satelles. Dr. Cobb has made a diverse range of contributions to the PNT community, including inventing and delivering the first commercial implementation of pseudolites as a principal hardware engineer at Novariant. GREG GUTT is the president and chief technology officer of Satelles. As a graduate student, Gutt Developed ultra-low-noise superconducting sensors for NASA’s Gravity Probe B program. He later went on to become a Boeing technical fellow and is the original principal inventor of the Satelles time and location technology. MICHAEL O’CONNOR is the chief executive officer of Satelles. As a graduate student, O’Connor developed the world’s first GPS-based precision steering system for farm vehicles. He went on to bring this technology to market with Novariant and helped launch the precision agriculture industry. TYLER G.R. REID just completed his Ph.D. in the GPS Research Laboratory in the Department of Aeronautics and Astronautics at Stanford University. He is an alumnus of the International Space University and will soon be starting as a research scientist at Ford Motor Company on their autonomous driving team. TODD WALTER is a senior research engineer in the Department of Aeronautics and Astronautics at Stanford University where he received his Ph.D. in applied physics. His research focuses on implementing high-integrity air navigation systems. DAVID WHELAN was the vice president and chief technologist for Boeing Defense, Space & Security. Whelan earned his Ph.D. and MS in physics from the University of California Los Angeles and his B.A. from the University of California San Diego. “Differential and Rubidium Disciplined Test Results from an Iridium-Based Secure Timing Solution” by S. Cobb, D. Lawrence, G. Gutt and M. O’Connor in Proceedings of the 2017 International Technical Meeting of The Institute of Navigation, Monterey, California, Jan. 30 – Feb. 1, 2017, pp. 1111–1116. “Leveraging Commercial Broadband LEO Constellations for Navigation” by T.G.R. Reid, A.M. Neish, T.F. Walter and P.K. Enge in Proceedings of ION GNSS+ 2016, the 29th International Technical Meeting of the Satellite Division of The Institute of Navigation, Portland, Oregon, Sept. 12–16, 2016, pp. 2300–2314 (best presentation award). “Test Results from a LEO-Satellite-Based Assured Time and Location Solution” by D. Lawrence, H.S. Cobb, G. Gutt, F. Tremblay, P. Laplante and M. O’Connor in Proceedings of the 2016 International Technical Meeting of The Institute of Navigation, Monterey, California, Jan. 25–28, 2016, pp. 125–129. “Orbital Diversity for Satellite Navigation” by P. Enge, B. Ferrell, J. Bennet, D. Whelan, G. Gutt and D. Lawrence in Proceedings of ION GNSS 2012, the 25th International Technical Meeting of the Satellite Division of The Institute of Navigation, Nashville, Tennessee, 17–21 Sept., 2012, pp. 3834–3846 (best presentation award). Orbital Diversity for Global Navigation Satellite Systems by T.G.R. Reid, Ph.D. dissertation, Dept. of Aeronautics and Astronautics, Stanford University, Stanford, California, June 2017. “Analysis of Iridium-Augmented GPS for Floating Carrier Phase Positioning” by M. Joerger, L. Gratton, B. Pervan and C. E. Cohen in Navigation, Vol. 57, No. 2, Summer 2010, pp. 137–160, doi: 10.1002/j.2161-4296.2010.tb01773.x. A Differential Carrier-phase Navigation System Combining GPS with Low Earth Orbit Satellites for Rapid Resolution of Integer Cycle Ambiguities by M. Rabinowitz, Ph.D. dissertation, Dept. of Electrical Engineering, Stanford University, Stanford, California, Dec. 2000. “Alternative PNT: Indoor Synchronization via LEO Satellite Service” in PNT Roundup, GPS World, Vol. 28 No. 5, May 2017, p. 14. “Non-GNSS Satnav: Iridium Launch New Time, Location Service” in PNT Roundup, GPS World, Vol. 27, No. 7, July 2016, pp. 12, 14. “Overview of IRIDIUM Satellite Network” by K. Maine, C. Devieux and P. Swan in Proceedings of IEEE WESCON’95, the Microelectronics Communications Technology Producing Quality Products Mobile and Portable Power Emerging Technologies Conference (formerly Western Electronics Show and Convention), San Francisco, California, Nov. 7–9, 1995, pp. 483–490, doi: 10.1109/WESCON.1995.485428. The Legacy of Transit, a special edition of the Johns Hopkins APL Technical Digest edited by V.L. Pisacane, Vol. 19, No. 1, Jan.–March 1998. “A History of Satellite Navigation” by B.W. Parkinson, T. Stansell, R. Beard and K. Gromov in Navigation, Vol. 42, No. 1, Spring 1995, pp. 109–164, 10.1002/j.2161-4296.1995.tb02333.x. “The Navy Navigation Satellite System: Description and Status” by T.A. Stansell, Jr. in Navigation, Vol. 15, No. 3, Fall 1968, pp. 229–243, 10.1002/j.2161-4296.1968.tb01612.x. Springer Handbook of Global Navigation Satellite Systems, edited by P.J.G. Teunissen and O. Montenbruck, published by Springer International Publishing AG, Cham, Switzerland, 2017.